Walmart is reportedly abandoning plans to launch a Netflix-like streaming video service, which could take one more threat out of the equation for Apple's own upcoming launch. The decision was made sometime after the collapse of talks with former Epix CEO Mark Greenberg, said CNBC sources. Walmart was allegedly uncomfortable about making necessary content investments, given the bar set by players like Netflix, which may have spent as much as $13 billion in 2018. Greenberg proposed the idea of a service targeting "Middle America," the sources explained. He's also said to have brought the same concept to retailers such as Costco, without any deals so far — notably, Costco may be exploring the possibility of a service for people with $120 Executive memberships. 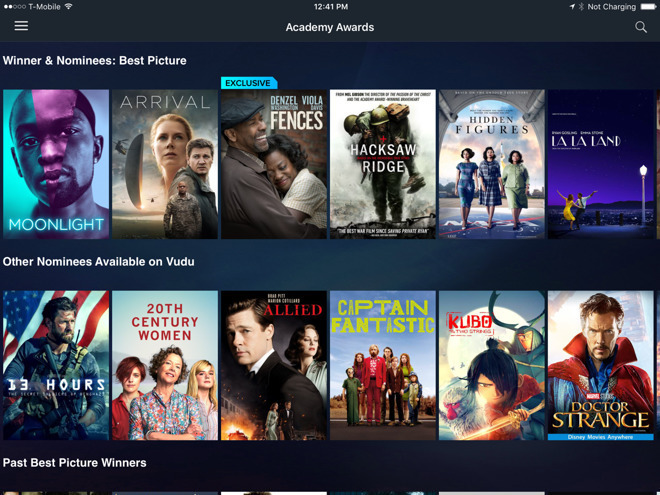 Walmart is instead expected to work on improving Vudu, its movie and TV service geared towards rentals and purchases with a limited amount of ad-supported free content. That could eventually turn into something bigger, as hinted by it developing an original series based on the 1983 comedy "Mr. Mom." The war for the dollars of online streaming customers is set to become intense in the next two years, joined by services like Disney+ and one from NBCUniversal. Apple is launching its service sometime this year. The company is spending at least $1 billion on original content — mostly TV shows, but also some films, much like Netflix, Hulu, and Amazon Prime. Initially the company may make first-party content free to watch on its hardware, counting on subscriptions to outside services to make money. Beyond that it's thought be seeking "tentpole" shows that could support a paid platform. It remains to be seen however if Apple is willing to accept the sort of uncensored material that attracts people to platforms like Netflix or HBO.